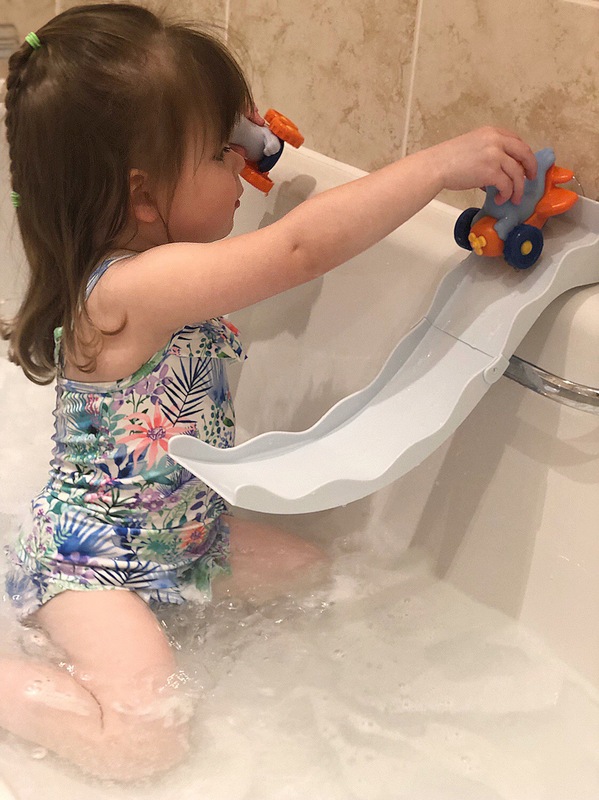 All three of my children have loved bath toys so I am always on the look out for something new to add to our collection and when we were asked by Learning Resources to review the Bright Basics – Slide & Splash Seals , I was so excited. My First impressions were how well made and sturdy everything was. The slide came in two parts that fold together for easy storage and it was super easy to put together. Isabella loved the seals which are basically seals sat on wheels so, like a push along car. 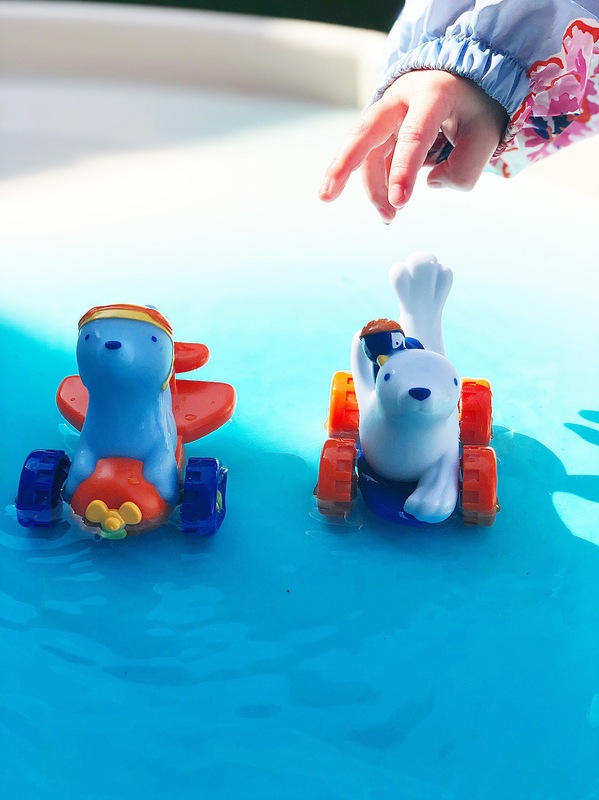 The set comes with two seals, one with a penguin sat on its back and one that’s a seal on an aeroplane. The slide has two suction pads that stick firmly onto the side of the bath or shower if you don’t have a bath. Isabella just loved putting each seal at the top of the slide and watching the whizz down the slide really fast and there is a jump at the end so the seals really do fly off the end fast into the water. She thought this was hilarious and so did I ! Isabella also really liked to push the seals through the water and round the side of the bath. 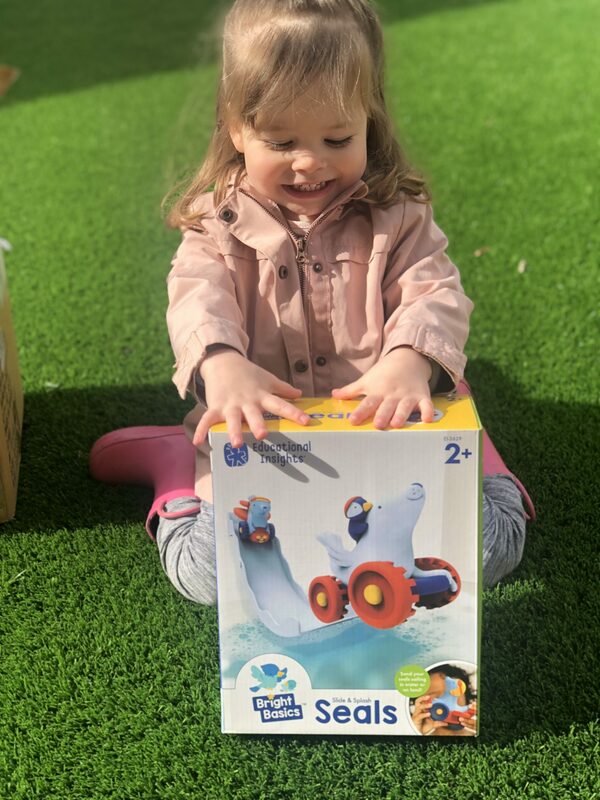 Included in the box is a song “The Wheels on the Seals Go Round and Round” and Isabella picked the words up very quick and happily sand it whilst pushing them round. 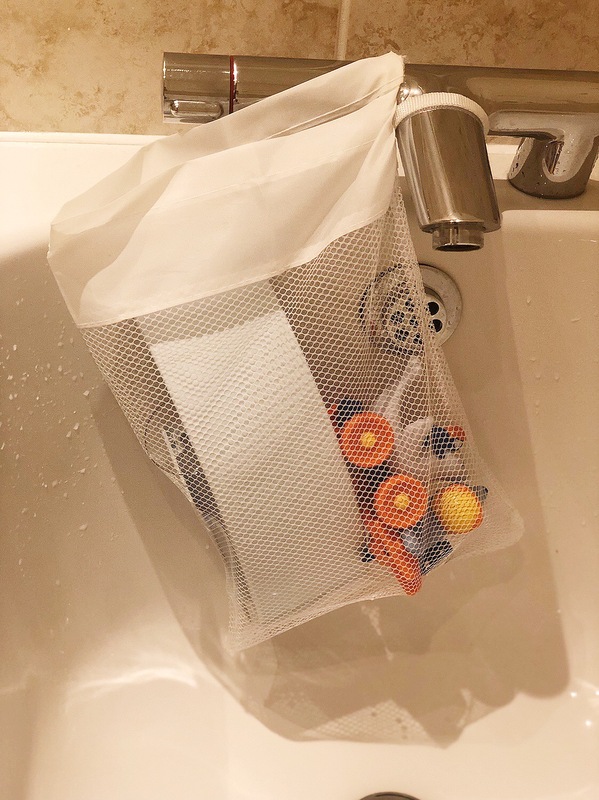 One thing I really like about this bath toy is that there is no place for water to hide and grow mould in it as I have to bin a lot of bath toys for this reason and it also comes with a handy storage bag which I hung over the taps to drip dry. Isabella loved this toy so much that she wanted to take it into the garden so I stuck the slide onto the patio door and put some water in our tuff tray to extend her play. She happily played in the garden with this for over an hour and loved putting on little voices for the seals and using them for imaginary play. 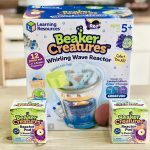 So not only is this toy amazing for sensory play but its also fantastic for encouraging imaginations and small world play. It helps children to learn about cases and effect, watching how far the seals will go and introduces them to STEM learning in a fun way. 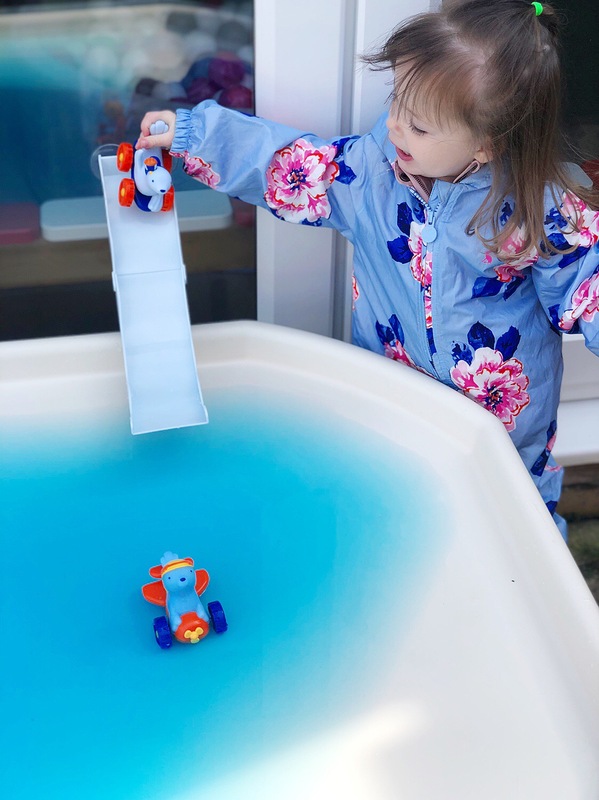 I really think this is an amazing toy not just for the bath and would highly recommend it to anyones children that enjoy both sensory and imaginative play. Its definitely in my top list of favourite toys and Isabella’s. 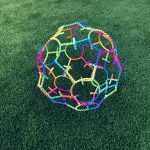 If you have a child that is not keen on the bath or water then this will be sure to distract them and help them enjoy bath times. The recommended RRP is £18 and can be purchased from Learning Resources. Thank you for reading and I hope you have fun with this toy too. This post was written in collaboration with Learning Resources but all thought and opinions are my own.